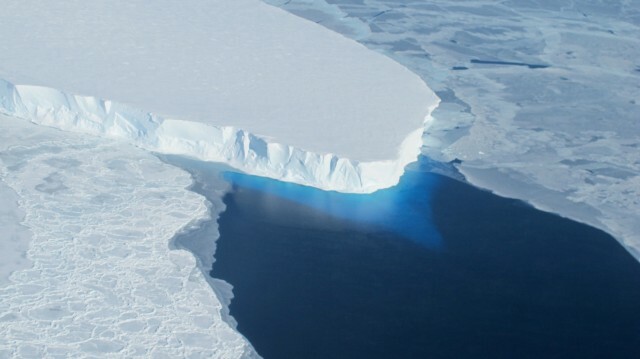 A staggering 500 cubic kilometers of glacial ice — roughly 3.2 million ice cubes — from the Greenland and Antarctic ice sheets is melting every year, causing sea levels to rise at a rate two and a half times faster than they did a decade ago. In a new study published in the journal The Cryosphere, Veit Helm and other glaciologists from the Alfred Wegener Institute in Bremerhaven, Germany, determined the fast-flowing melt by mapping the height of the Greenland and Antarctic ice caps with greater precision than ever before. The team used data collected by the European Space Agency’s orbiting satellite CyroSat-2, which measures the height of the ice over the two landmasses. To do so, the satellite sends a radar signal to the ice’s surface and calculates the time it takes for the signal to return, thus determining the distance — as well as the height — of the ice. In addition to showing the highs and lows of the ice sheets over the last three years, the team also compared their height data with measurements made by NASA’s IceSat mission, which collected similar data from 2003 to 2009. The German researchers concluded that Greenland is now losing ice two and a half times faster than it was a decade ago. Antarctica is a little more complicated as the West Antarctic Ice Sheet is actually thickening. Due to East Antarctica’s rapid ice loss, however, the continent as a whole is now losing ice twice as quickly as it was before. Although we’ve known for some time that global warming is causing glaciers to melt, these measurements confirm the bad news and give more precise numbers. They also refute the arguments of some self-described “climate skeptics” who think that the recent growth of the West Antarctic ice sheet shows that climate change won’t lead to potentially catastrophic sea level rise. Why use “models” of Greenland, when measuring the real continent is more accurate?